iPhone 5 map application an unmitigated disaster - Is Apple missing Steve Jobs? If Steve Jobs were still alive, would the new map application on the iPhone 5 be such an unmitigated disaster? Interesting question, isn't it? As Apple's chief executive, Jobs was a perfectionist. He had no tolerance for corner-cutting or mediocre products. 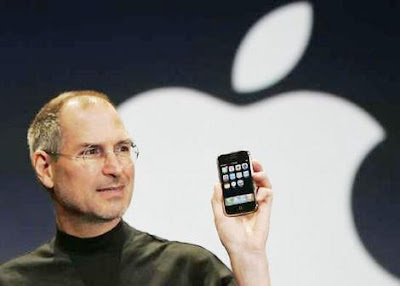 The last time Apple released a truly substandard product - MobileMe, in 2008 - Jobs gathered the team into an auditorium, berated them mercilessly and then got rid of the team leader in front of everybody, according to Walter Isaacson's biography of Jobs. The three devices that made Apple the most valuable company in America - the iPod, the iPhone and the iPad - were all genuine innovations that forced every other technology company to play catch-up. No doubt, the iPhone 5, which went on sale on Friday, will be another hit. Apple's halo remains powerful. But there is nothing about it that is especially innovative. Plus, of course, it has that nasty glitch. In rolling out a new operating system for the iPhone 5, Apple replaced Google's map application - the mapping gold standard - with its own, vastly inferior, application, which has infuriated its customers. With maps now such a critical feature of smartphones, it seems to be an inexplicable mistake. And maybe that's all it is - a mistake, soon to be fixed. But it is just as likely to turn out to be the canary in the coal mine. Though Apple will remain a highly profitable company for years to come, I would be surprised if it ever gives us another product as transformative as the iPhone or the iPad. Part of the reason is obvious: Jobs isn't there anymore. It is rare that a company is so completely an extension of one man's brain as Apple was an extension of Jobs. While he was alive, that was a strength; now it's a weakness. Apple's current executive team is no doubt trying to maintain the same demanding, innovative culture, but it's just not the same without the man himself looking over everybody's shoulder. If the map glitch tells us anything, it is that. But there is also a less obvious - yet possibly more important - reason that Apple's best days may soon be behind it. When Jobs returned to the company in 1997, after 12 years in exile, Apple was in deep trouble. It could afford to take big risks and, indeed, to search for a new business model, because it had nothing to lose. Fifteen years later, Apple has a hugely profitable business model to defend - and a lot to lose. Companies change when that happens. "The business model becomes a gilded cage, and management won't do anything to challenge it, while doing everything they can to protect it," says Larry Keeley, an innovation strategist at Doblin, a consulting firm. It happens in every industry, but it is especially easy to see in technology because things move so quickly. It was less than 15 years ago that Microsoft appeared to be invincible. But once its Windows operating system and Office applications became giant moneymakers, Microsoft's entire strategy became geared toward protecting its two cash cows. It ruthlessly used its Windows platform to promote its own products at the expense of rivals. (The Microsoft antitrust trial took dead aim at that behavior.) Although Microsoft still makes billions, its new products are mainly "me-too" versions of innovations made by other companies. Now it is Apple's turn to be king of the hill - and, not surprisingly, it has begun to behave in a very similar fashion. You can see it in the patent litigation against Samsung, a costly and counterproductive exercise that has nothing to do with innovation and everything to do with protecting its turf. And you can see it in the decision to replace Google's map application. Once an ally, Google is now a rival, and the thought of allowing Google to promote its maps on Apple's platform had become anathema. More to the point, Apple wants to force its customers to use its own products, even when they are not as good as those from rivals. Once companies start acting that way, they become vulnerable to newer, nimbler competitors that are trying to create something new, instead of milking the old. Just ask BlackBerry, which once reigned supreme in the smartphone market but is now roadkill for Apple and Samsung. TechFond - Latest Technology | Analysis | Enterprise | Startups | Product Reviews | How Tos: iPhone 5 map application an unmitigated disaster - Is Apple missing Steve Jobs?